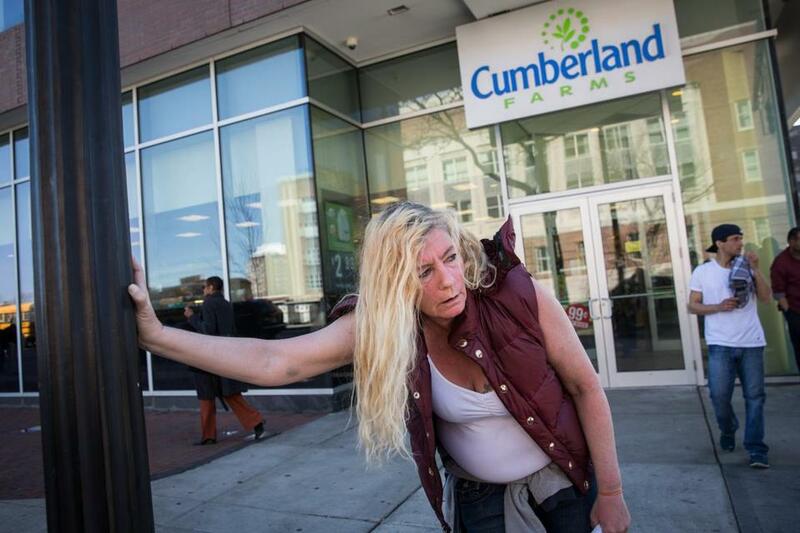 Sherry Gardner, a homeless woman, leaned against a light post in front of the Cumberland Farms store in April 2016. A Roxbury convenience store at the center of ground zero in Boston’s battle against drug addiction has closed, about three years after it opened. The Cumberland Farms store on the south corner of the intersection of Massachusetts Avenue and Albany Street had been a central gathering point in the neighborhood, which is home to about a dozen different drug treatment programs, shelters, and other service providers, as well as Boston Medical Center’s busy emergency department. Area residents and workers said the store closed in late December; the building’s manager said no new tenant has been found. Envisioned by its owners as a new concept store in the middle of a vibrant neighborhood, the store struggled under a persistent throng of people loitering outside — some seeking treatment, but others deep in the throes of addiction or dealing drugs to a captive market. 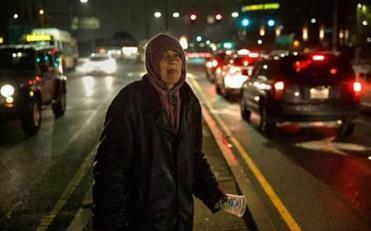 The thrum of drug activity — and the routine sight of people swaying barely responsive in broad daylight on a busy city street corner — earned the area the derisive nickname Methadone Mile. The city has sought to rechristen the troubled tract “Recovery Road.” Whatever it’s called, Cumberland Farms was in many ways its center: A traditional neighborhood edifice amid the chaos, complete with hot coffee, convenience items, and food to go. Some come to this sad section of the city to get high. Some come to get clean. The people here call it Methadone Mile, and it is the congested heart of Massachusetts’ raging opioid crisis. The company said then that it was exploring its options, and called maintaining a safe environment for its customers and employees “increasingly challenging.” Cumby’s, as the Framingham-based chain’s shops and gas stations are widely known, opened its store along the border of Roxbury and the South End in late 2013 with considerable fanfare for a convenience store. “This store opening is a special one for us,” Ari Haseotes, the company’s president, said in a news release at the time. The store was the first Cumberland Farms to open in an urban neighborhood in Boston since 1981; representatives from Boston Medical Center and Red Sox mascot Wally the Green Monster attended a ribbon cutting event. But in October 2014, the Long Island Bridge was condemned, and the already strained neighborhood was suddenly bearing the weight of hundreds of additional people staying in shelters and receiving treatment at the various drug addiction treatment programs in the area. By last summer, the nook outside the convenience store provided just enough cover for drugs to be sold, swapped, and smoked in dense groups huddled near the windows. Shoplifting was reportedly brazen and rampant, and frequent police walk-throughs only momentarily dispersed the crowds that lasted well into the night.